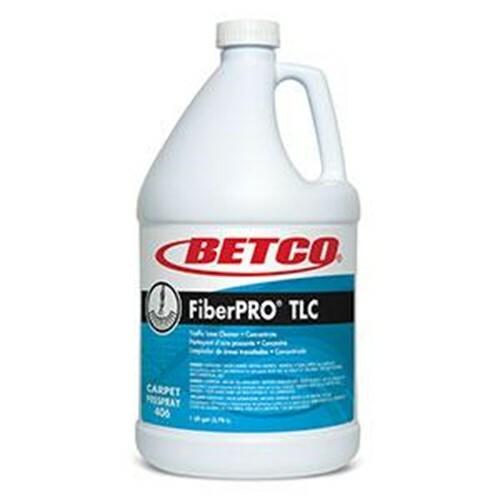 Formulated to quickly penetrate and lift out grease and grime, this powerful blend of special surfactants and nonflammable solvent will quickly loosen and emulsify a variety of soils from both natural and synthetic fibers. TLC (Traffic Lane Cleaner) can also be used as a booster for rotary and extraction methods as this product cuts through and suspends the toughest soils for fast removal. Excellent for dry and wet spin bonnet applications as well.